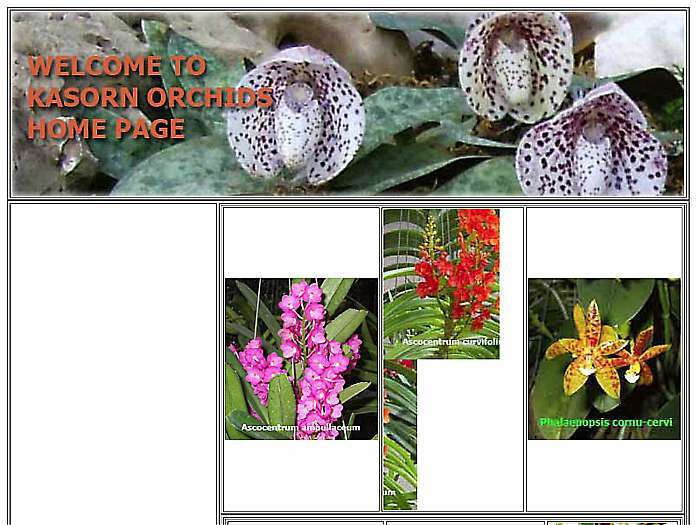 Thai orchid genera such as Aerides, Ascocentrum, Bulbophyllum, Cymbidium, Dendrobium, Paphiopedilum, Phalaenopsis, Rhyncostylis, Vanda are offered. Also some South American genera including Cattleya and Laelia. Flasks and mature plants available. Bangkok, Thailand.